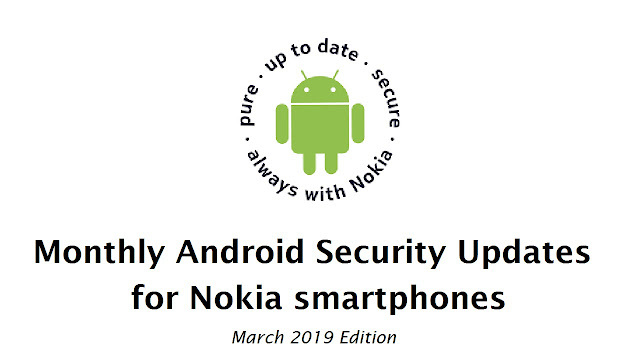 Nokia Mobile has started rolling out the March Android Security update for their smartphones. 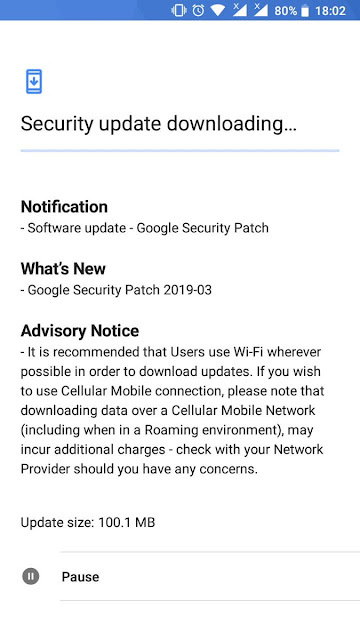 Nokia 5.1 plus is the 1st smartphone to get the latest security patch and we will update this post as and when more Nokia smartphones start receiving the update. 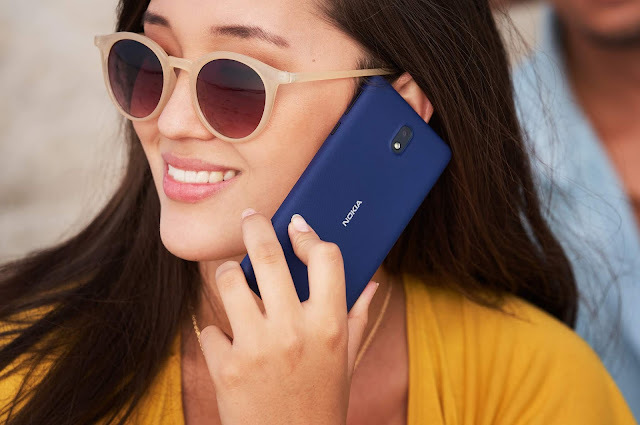 If you get the update on your Nokia smartphone do send in your screenshots along with the device name so that we can keep this post updated. Below are the Nokia smartphones that have received the March 2019 Android Security update. 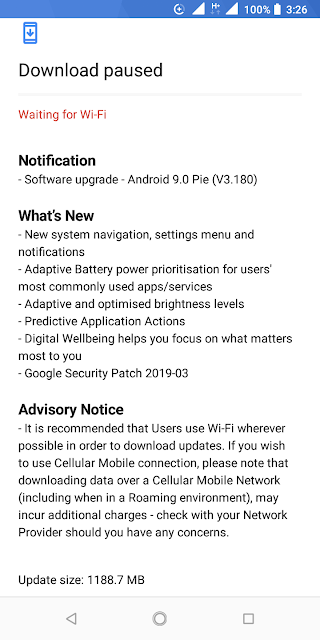 What's new: The March 2019 Android security update for Nokia 8 has finally started rolling out. 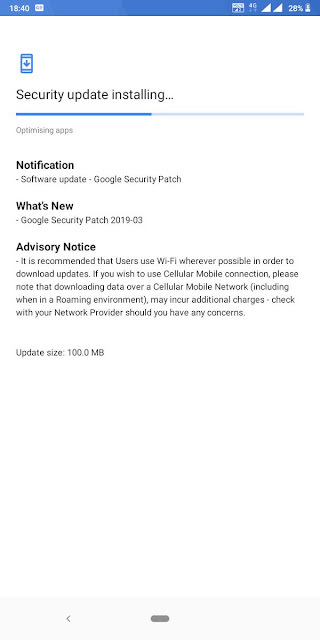 The update is very small at 95.4 MB in size and doesn't bring anything new apart from the March Android Security patch. What's new: Nokia 3.1 plus only gets the March 2019 Android Security patch with this new update. What's new: The update for Nokia 2.1 is very small and just brings Google's 2019 Android Security update. 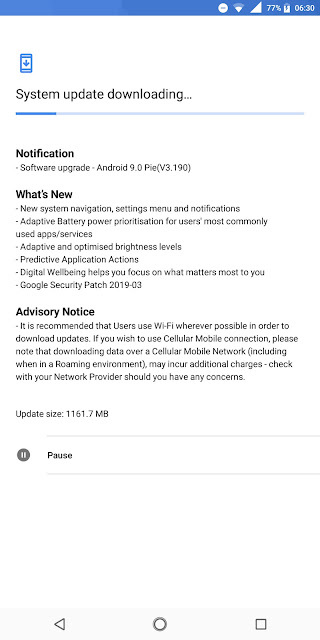 What's new: The new update for Nokia 6.1 brings the new Android Pie build (V3.51F). The update is pretty big at 530.7 MB in size. 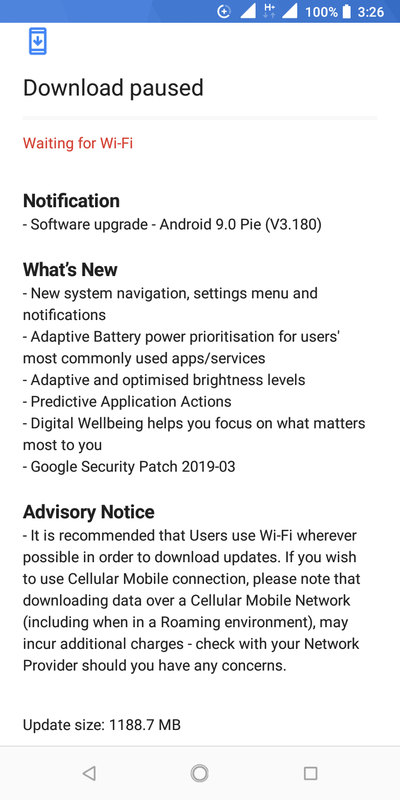 As always the changelog just should be many under the hood improvements and bug fixes pushed with this new build for the Nokia 6.1. This new update also adds more OZO Audio options in the Camera app where users will now be able to select any of the front or the rear camera to capture sound or set it to surround sound to capture audio from all mics. The update also brings March 2019 Android Security update to the Nokia 6.1. What's new: This is a major update for Nokia 7 Plus and brings some noticeable changes. The DPI issue is now fixed. The issue of nav bar staying white while using apps in dark mode is now fixed and now the black nav bar appears while in dark mode. The Pro Camera mode now supports Telephoto lens while zooming. The stutter in notification panel while sliding it down is now gone. What's new: The new Android 8.1 Oreo build (V1.550) for Nokia 1 is pretty big in size and includes many under the hood changes and optimisations. 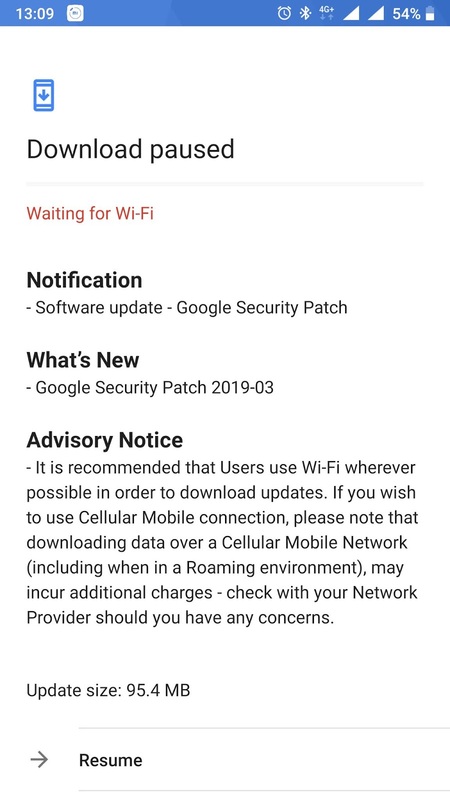 The changelog mentions that this new update brings improvements to system stability along with the March 2019 Android Security patch. What's new: This major update for Nokia 5.1 and brings the Android Pie update along with the March 2019 Android Security patch. 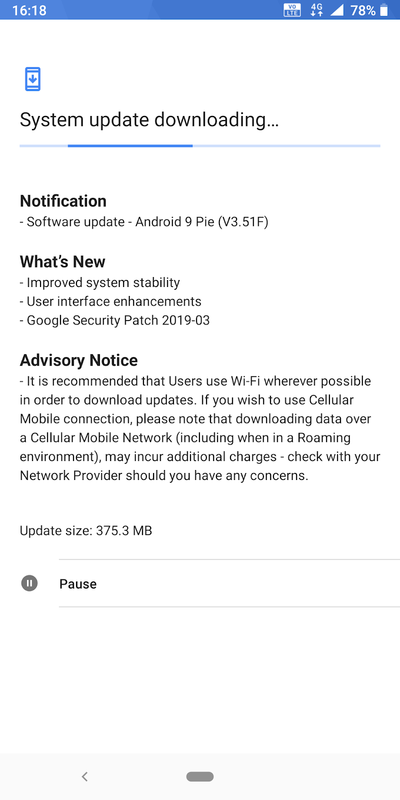 What's new: After fixing the front camera issues with the last month's update, this new update for Nokia 8.1 only brings the March 2019 Android Security patch. Many users are facing problems while using split screen on Nokia 8.1 after the February Security update which I hope will be fixed with next update. 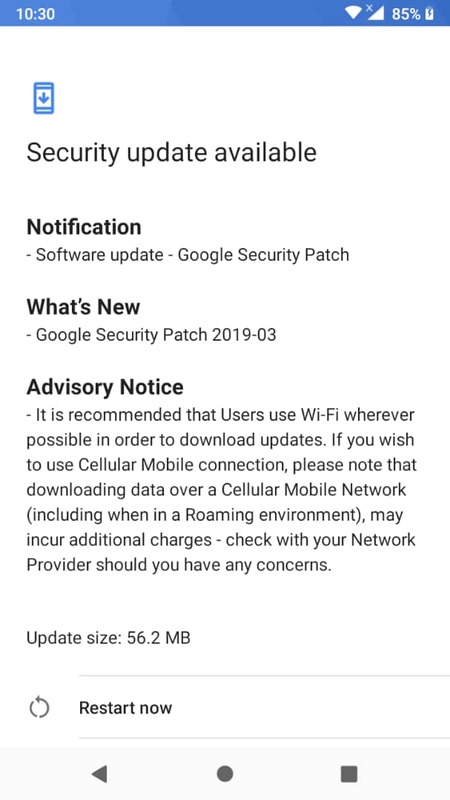 What's new: This is a minor update and just brings the March 2019 Android Security patch to the Nokia 5.1 Plus. The update has started rolling out in India and should be available in other markets as well. 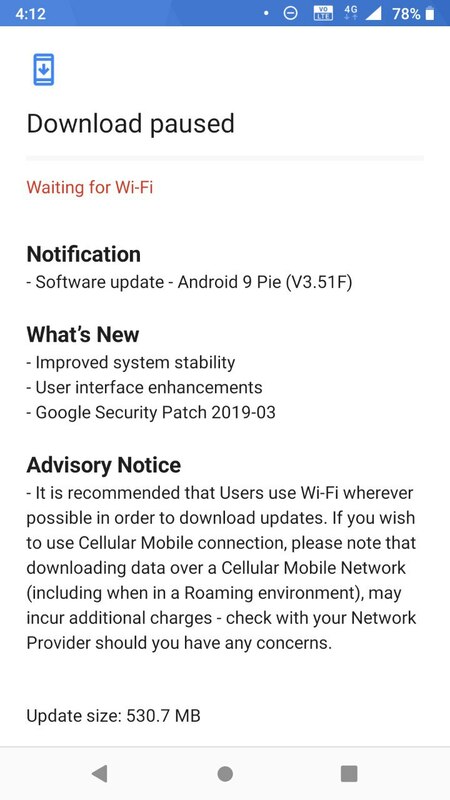 What's new: This is a major release for Nokia 3.1 which brings Android Pie update and March 2019 Android Security patch. 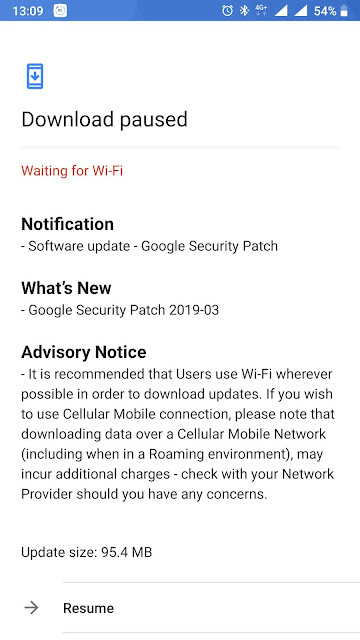 If you haven't received the update notification we suggest you to manually check for the update by going to Settings > System > System updates. You can learn more about Android Security updates by visiting the Android Security Bulletin.